Ozone International LLC. makes products that keep food processors clean and safe. This week the Bainbridge Island company was recognized for efforts to make its own organization cleaner and leaner. The Association of Washington Businesses announced Ozone International as the recipient of its annual Operational Excellence Award for manufacturers. In the announcement, AWB highlighted the companies success in streamlining its production processes. Over the past two years, Ozone improved efficiency by 25 percent and increased capacity by 80 percent, while cutting production time from 27 days to nine days per unit, according to a news release. The company also reduced overtime costs by spreading work from its busy seasons to slower times of the year, and heightened safety for employees. Ozone was founded in 2003. It creates ozone-based sanitization systems for food and beverage producers. Our colleagues at Kitsap Peninsula Business Journal recently wrote an extensive profile of Ozone International. LoveCraft Brewing Co. felt the love from donors. The planned downtown Bremerton microbrewery received contributions from more than 300 people on Kickstarter, exceeding its $30,000 fundraising goal before the Monday deadline. Founders Jesse and Tasha Wilson say the seed money will help them secure financing and launch the business. They hope to have the brewery up-and-running in 2015. “Our next steps are finding the right location, building it out to our needs and acquiring equipment,” Jesse said in an email. Jesse Wilson is an Olympic High School and Olympic College graduate who gained brewing experience as an assistant at Port Townsend Brewing Co.
See my previous post about LoveCraft’s plans here. October 27, 2014 Brewing & Distilling, Business, Kitsap On Tapbeer, bremerton, kitsap on tap, kitsapbeer, lovecraft brewing co.
Harrison Medical Center’s 24-hour urgent care clinic on Bainbridge Island will open Dec. 1. The medical group expects to have an occupancy permit for the 17,000-square-foot building next week, spokeswoman Jacquie Goodwill said. Along with urgent care, the two-story center will offer primary care, specialty care and imaging and lab services. A public open house is scheduled for noon to 6 p.m. Nov. 20. Visitors can meet providers and learn about available services. The clinic is located at 8804 Madison Ave North, adjacent to Madrona House and the Bainbridge First Baptist Church. Construction of the building began about a year ago. The Port Orchard Chamber of Commerce announced its new executive director last week. The chamber selected Matt Murphy, a fourth generation South Kitsap resident with an varied business background. Murphy is a Gonzaga University graduate. After college he moved back to Port Orchard and worked as a real estate agent and opened a bookstore with his wife, Linda. The couple was active in Fathoms O’ Fun and the chamber. Murphy later served as an area support manager for Mail Boxes Etc., a UPS Store franchise manager, and as director of business development for a Native American firm researching and responding to federal agency procurement requests. He most recently worked for Dex Media. Murphy replaces Christine Daniel, who resigned earlier this year. The Port Orchard Chamber is one of several transitioning leadership this fall. Chambers in Bremerton and Poulsbo also announced new directors recently. 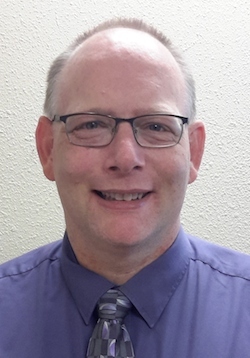 The Greater Poulsbo Chamber of Commerce announced its next director of operations this week. Retired Air Force Lt. Col. Marc Abshire will succeed Jan Harrison, who announced her plans to step down earlier this fall. 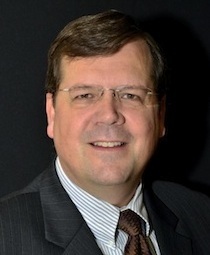 Abshire will begin his duties Nov. 3, according to a chamber news release. Abshire has more than 20 years of experience in organizational leadership, marketing, corporate communications, public relations, and operations. He has also worked extensively as a speech writer and coach. Abshire grew up on the Olympic Peninsula. He holds a bachelor’s degree from the U.S. Air Force Academy and a master’s from the University of Colorado. “The Board is thrilled to have found a candidate who has his breadth of experience in business, marketing, communications, and team operations,” chamber President Jessie Nino said in the release. Harrison led the chamber for the past two years. She plans to return to her consulting business. A new Port Orchard store is putting a gourmet spin on the “take-and-bake” pizza model. 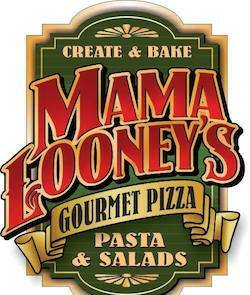 Mama Looney’s Gourmet Pizza opened earlier this month in the Sedgwick Landing center, near the corner of Sedgwick and Sidney Road. The founder is Ronda Looney, who owns Cafe Soleil in the same development. Looney said she noticed the popularity of a certain take-out pizza franchise, and decided she could use a similar model with upgraded ingredients. “We’re a step up beyond the other take-and-bake companies,” she said. Customers can build their own pizza or choose from some of the shop’s standards. The menu includes classics like Hawaiians and supremes, as well as “gourmet” recipes like a gorgonzola pear and BBQ barbacoa pork. Mama Looneys also has take-out pasta and salads. Looney said the store may eventually bake pizzas in-house. The shop opened quietly, but Looney said business is growing as word spreads. See the Mama Looney’s website or page on Facebook for more information. The Four Swallows Restaurant, an institution on Bainbridge Island’s Madison Avenue, has closed. Owners of the 26-year-old establishment were unable to secure a new lease agreement, according to a note on the restaurant’s Facebook page posted by owners Michael Sharp and Geraldine Ferraro. Post by Four Swallows Restaurant. “We intend to continue in some capacity in the future,” the note said. The restaurant’s landlords were surprised by the sudden closure. Eric Fredricks, managing partner of Madison Avenue Real Estate, said the lease on the building isn’t up until the end of the year. Fredricks said it was unclear why The Four Swallows owners didn’t agree to a new lease. Fredricks said the company hopes to find another restaurant to occupy the quaint farmhouse on Madison. The William Grow house was built in 1889. The Four Swallows property and adjacent Bainbridge Pavilion are up for sale. Below are the latest restaurant inspection scores distributed by Kitsap Public Health District. The inspection report is posted below. For even more detailed safety information on a restaurant, you can use the health district’s handy database search.